The Romans were quick to adopt anything that they felt was beneficial to their cause. This Imperial Gallic Besancon Helm is one example of that, as this helmet was based on a design that originally came from skilled Celtic craftsmen in Gaul, hence its name as an Imperial Gallic helmet. 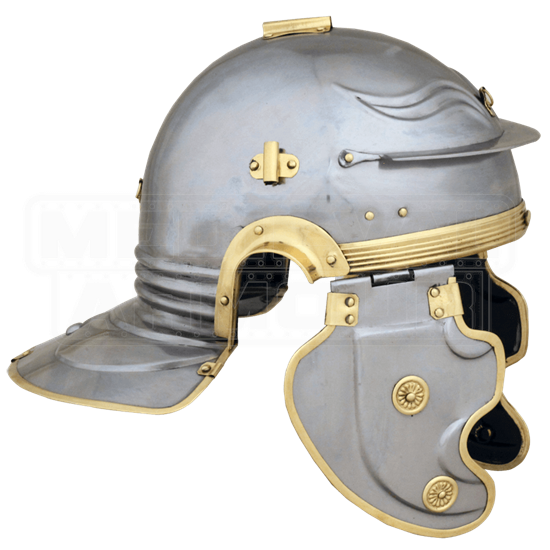 This particular model of helm is based on a historical artifact found in an ancient amphitheater, near Besancon, in France. Like all Imperial Gallic helms, this model features a flared ridge in back for added defense and distinctive eyebrow designs on the helms brow. The face is left completely open, while still featuring hinged cheek protectors that hang on the side. What sets this helm apart from the rest is the lack of a plume attachment point, as well as the unique placement of the decorative brass accents. The helmet is made entirely from 18 gauge steel, and is accented with touches of brass. It is an altogether impressive looking Roman recreation, and one that will serve perfectly in a variety of ways. 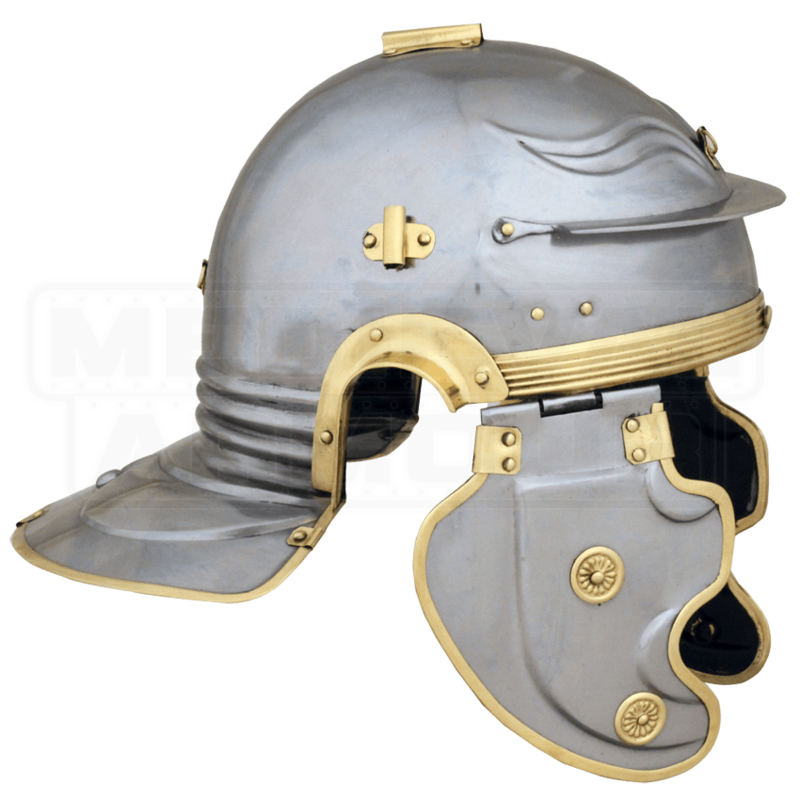 So you can either wear this Imperial Gallic Besancon Helm to complete your Roman look, or put it on display, to add the finishing touch to your ideal collection of Roman arms and armors!